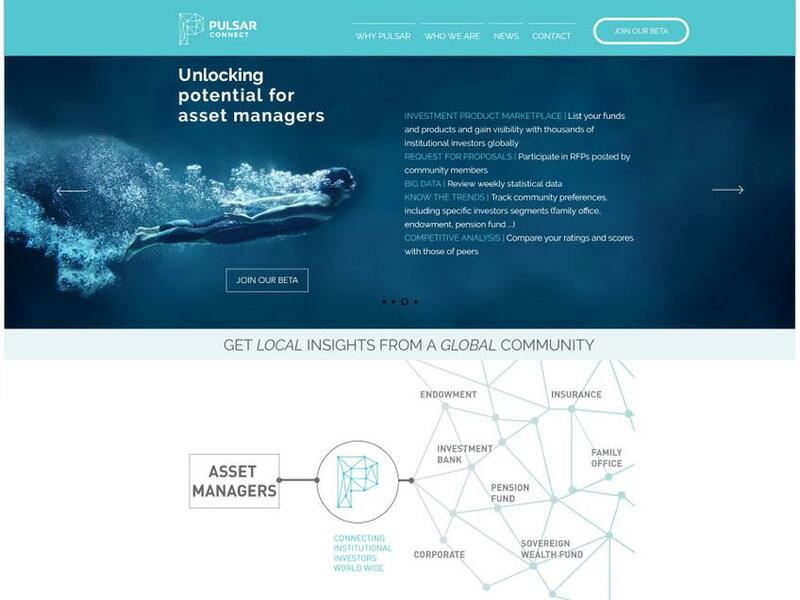 Pulsar Connect is an innovative platform that serves as a global marketplace for funds and other investment products. Our platform extends the visibility of asset managers to new investor segments and new geographies, using our proprietary technology and "smart matching"​ solutions. We connect asset managers to a global network of institutional investors, who collaborate in the context of new investments and enhance greatly their selection process and investment range.